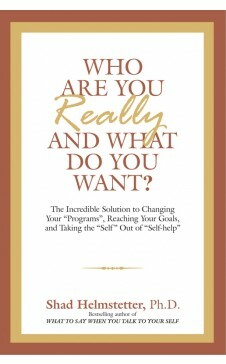 The incredible solution to changing your 'programs', reaching your goals, and taking the 'self' out of 'self-help'. Based on more than 25 years of research in the field of motivational behavior, bestselling author Dr. Shad Helmstetter reveals the actual difference between people who succeed in their lives - day after day - and people who don't. Shad Helmstetter discloses three underlying breakthrough concepts that are foundation to successful personal and professional growth in each of us. He discovered that when the three concepts are combined, they virtually guarantee success.In an easy-to-follow program that takes the self out of self-help, Dr. Helmstetter shows the reader how to use these breakthough concepts to lose weight and improve physical fitness, increase income, build self-esteem and self-confidence, improve family and relationships, reduce stress, and become more organized and in control.Presenting the most important and up-to-date findings from the field of motivational research, Dr. Helmstetter immediately helps the reader get rid of old mental programs, find focus, set and track goals, stay motivated, and have help along the way. 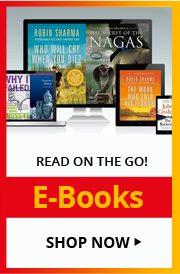 Dr. Shad Helmstetter, Ph.D is the best-selling author of thirteen books in the field of personal growth, self-talk, self-esteem, personal programming, and goal-setting. His books are published in more than 65 countries around the world. His ground-breaking classic on the subject of self-talk, "What to Say When You Talk to Your Self," is published in over 70 countries, and is in its 45th printing in 30+ years of publication. Dr. Helmstetter has appeared on over 1200 radio and television programs, including repeat appearances on Oprah Winfrey, ABC, NBC, CBS, and CNN News. His self-talk audio programs are listened to daily by individuals and families world wide.